I have been planning a packrafting trip on the Minam River all winter. 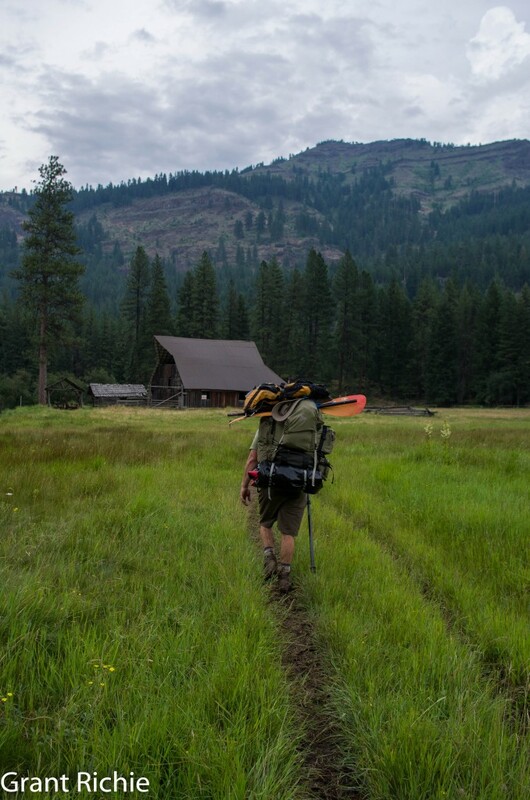 Most float trips on the Minam River begin at Red’s Horse Ranch in the middle because there is a small section of property here that is not wilderness area with an airstrip. The airstrip makes Red’s the easiest starting point for boaters (there is also an airstrip at the Minam Lodge near Red’s). I had high hopes of making a longer trip starting at least as high as Elk Creek with the new self-bailing Baylee River Runner pack rafts. But the pack rafts showed up later than I was hoping and schedules for floating simply did not allow for a longer float trip. I settled for the classic Minam run, Red’s Horse Ranch to Minam town. With Minam Shuttle Service (my wife) riding to the trailhead with Jerry and I, we arrived at the Moss Springs trailhead late morning. The weather was acting a little unpredictable and as Jerry and I began getting our packs ready, the rain began to come down hard. We both put on rain jackets and headed down the trail. 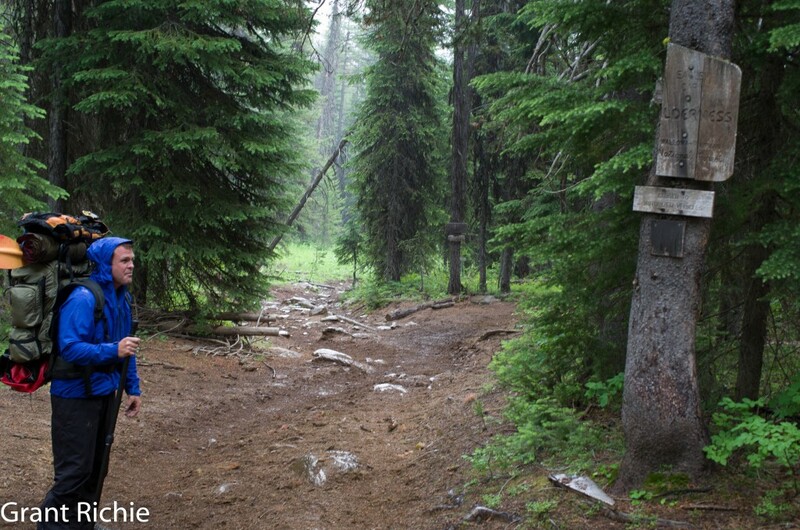 Luckily the hard rain did not last real long and soon the rain jackets were put back into the packs. A note here on shoes/boots. For the past several years I have been buying Simms wading boots with Streamtread soles. These boots have been pulling double duty as both hiking boots and wading boots which saves me valuable weight in my pack. To get around hiking out in wet socks, I bought a pair of NRS neoprene socks that are water proof. This arrangement has worked well for me other than the fact that I wear out the boots in about 6 months of heavy use. They are not cheap boots, so it is a little frustrating. The first pair were Simms Guide boot, which was a great boot that I loved hiking and wading in. For wading you absolutely need studs in those boots, but with studs, they were quite good boots that were comfortable and never felt lacking in anyway. After I wore out my first pair in 6 months I sent them back to Simms and they gave me a new pair. I then wore out that pair the following summer in another 6 months and decided I should try a different model. The next pair was their Rivershed model. They were slightly less money than the Guide boot, but the reason I chose them was that they were supposed to be designed for people wanting to use them to “hike into the backcountry.” Great, I thought. This boot is for me. The Rivershed model, was OK, but it gave me blisters on long hikes and I did not think it was as comfortable of a boot as the Guide boot. I also wore these ones out in about half a year. I know I am using these boots for more hiking than Simms probably intended and I am not partial to trying to take advantage of good customer service when I am using their product in a way they probably did not intend, so I did not send this pair back. I instead tried going in a different route entirely. My wife stopped in at the Joseph Fly Shoppe and picked up a pair of Simm’s RipRap shoe. This “shoe” is more of a glorified sandal with sides and Streamtread soles, but it is very light and I decided it was good enough to hike the 8 miles into Red’s Horse Ranch from the Moss Springs Trailhead. Now I was hiking in a pretty comfortable shoe that would do triple duty for both hiking/wading/boating. That is a great way to save weight off your pack. The hike into Red’s was quite easy. Although I was packing a packraft, pump, helmet, lifejacket, throw bag, along with all my regular gear, my pack did not feel heavy. I had picked up an Aquabound 4 piece paddle. I removed the paddles, stowed them in my pack and put rubber caps on the end of the shaft. Now my paddle was also acting as my walking stick rather than adding weight to my pack. The Moss Springs trail down to Red’s Horse Ranch is super easy. It is 8 miles of gradually losing elevation over a good trail. It felt too easy really, every other time I have packed a boat to a river it was work. This was play. 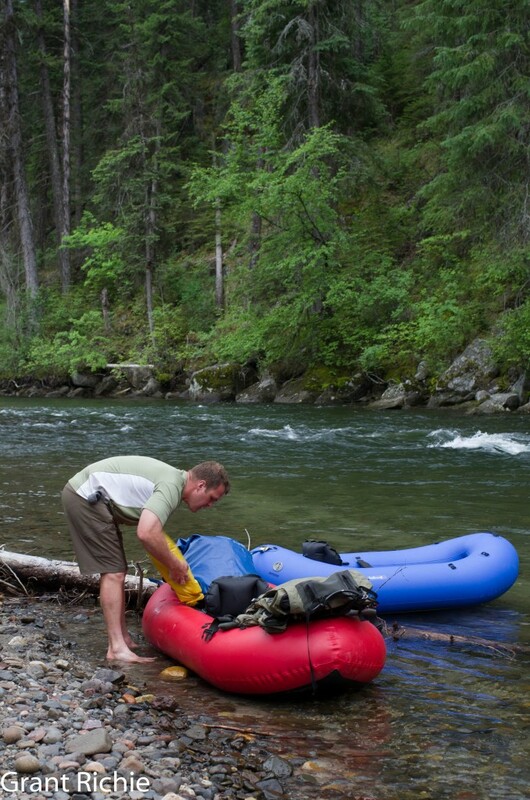 The new self-bailing Baylee River Runner packraft is one of the lightest inflatable craft I have hiked into a river. The only drawback to using the Moss Springs trail is that it gets a lot of use. We saw two other hikers and at least 6 groups on horses/mules. It is always interesting to me to see people with horses. The greenhorns and dudes let themselves be known far in advance. You have the city cowboy/cowgirl who sees you a quarter mile away and asks you to move twenty feet off the trail and not to move for fear of spooking their wild cayuse, or more likely, Arab. To a lesser extreme are the once or twice a year mule packers who only ask you to move 8 feet off the trail and simply ask you to talk as they go by. And finally I always enjoy seeing people who know their business, they ride up to you without shouting out ¼ mile away. They simply come up stop to visit for a minute or two and then move along their way quietly and calmly down the trail with their stock. It was afternoon by the time we arrived at Red’s and began getting the Baylee River Runner packrafts ready to go. I had packed in a Baylee 1 while Jerry packed in a Baylee 2. I would not describe the Baylee 2 as a two man packraft, but rather a packrat with room in the back for gear and more weight capacity for bigger paddlers. The Baylee 2 only weighs 2.5 pounds more than the Baylee 1 and has the ability to carry up to 500 pounds vs. the 300 pound payload of the Baylee 1. I consider that 2.5 pounds a pretty good return on your pack weight. Although it was sunny and pretty nice when we arrived at Red’s Horse Ranch, the weather quickly changed. It was 4 in the afternoon before we started down the river and thunder began building louder and louder and the sky began to darken. We barely put our dry suits on before the downpour began. With how hot the weather had been I had contemplated not taking a drysuit and simply paddling in wet clothes. Now with cooler temperatures and a heavy downpour, I appreciated my drysuit. We had been having unpredictable weather for the past week and today was no exception. The rain was monsoon-like and I had packed my camera away in a dry bag before we started floating. Sorry, no pictures of us floating through the downpour. I wear glasses and between the fog building up and the heavy rain, I could not see very far ahead. The first several miles of river below Red’s Horse Ranch is quite easy. Through this section the Minam River simply meanders along with hardly a wave or large rock to be found. The real concern in these lower gradient sections is wood, but the river is wide enough and slow enough that portaging the odd log or log jam is easily done. Several miles down river of Red’s Horse Ranch and the Minam Lodge, the canyon narrows, the gradient steepens and the Minam River picks up pace. 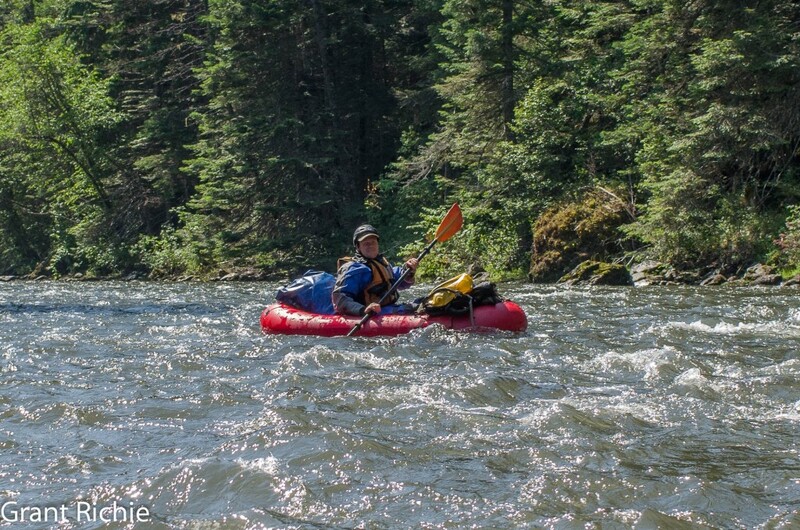 Since this was only my second run in the self-bailing Baylee River Runner packraft (first trip was a test run down the Wallowa highway section), I began playing in the boat as soon as the river cooperated. Now with some waves, eddies, and boulders I began pushing my packraft behind each boulder, trying to surf the odd wave here and there and just trying to get to know the Baylee River Runner’s capability. It handled excellent. 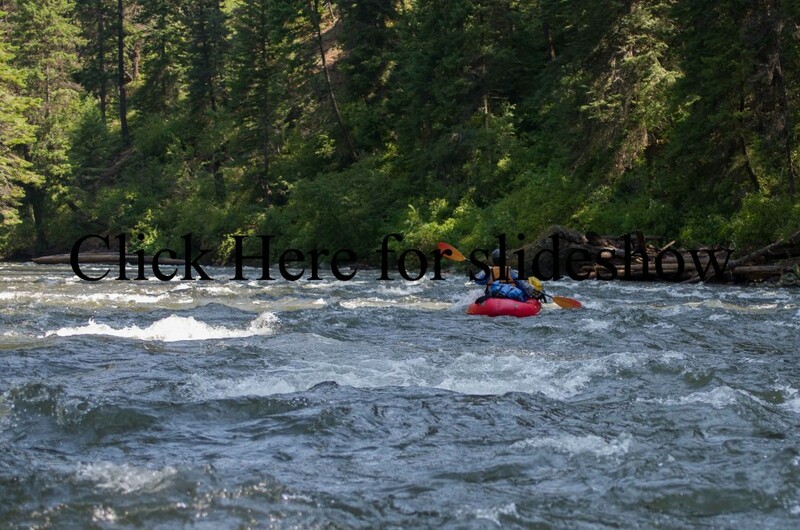 The Baylee packrafts are made better than the NRS packrafts and the Alpacka packrafts. These new Baylee boats made by Feathercraft can be blown up hard with a pump and do not feel like a flimsy pool toy. Jerry and I did not have any particular goal in mind for the day. He had brought his Oregon River Tours book along on the car ride and we reviewed it’s synopsis quickly before we went down the trail. The book called this section of the Minam primarily class II with some class III water in the vicinity of the Little Minam River. I had hiked and fished all of this section of water a couple times now, but it was always at low water in late summer so I did not know exactly how it would look with more flow. I was hoping it would be fun enough that we might camp for the night below the Little Minam River and then hike back up and do it again the next day. Jerry and I sailed along dodging boulders, catching eddies here and there, and enjoying ourselves but it seemed like class II to II+ at the flows we were at. There was not anything too difficult and nothing very challenging. (Flows were 700-800 cfs while we were on the water) It was certainly continuous. The river doesn’t slow down much and you have to constantly be maneuvering to avoid boulders. As the day began to grow long we were thinking about making camp and I remembered there was a great spot at Trout Creek that I thought we should camp at. I had stopped and looked at it the weekend before, but left a little disgusted by all the garbage left there by a previous camper. I had a very heavy pack that weekend and didn’t feel up to taking care of their garbage, but this weekend with the packrafts I thought we could burn most of the garbage and get the campsite cleaned up a bit. This campsite was also one of the most open spots and I was hoping that it would get plenty of sun in the morning to dry our gear out. Day 2 started out with lots of lounging around camp. We only had 10 miles left to float and we had made right around 5 miles per hour the day before, so I wasn’t in too much of a hurry. The big surprise in the morning was the water. It went from crystal clear to off color. The Minam had been running very clear all spring even at higher flows, so I am guessing that the monsoon-like rains caused a flash flood somewhere upstream that washed a lot of sediment into the river. I had planned on fishing quite a bit the second day on the lower ten miles and got out my fly rod and tied a fly on. I thought I would try floating and fishing at the same time. It didn’t work real well and pretty soon I lost my last Hedgehog fly (also available at the Joseph Fly Shoppe). I decided to simply reel in my line at that point. The river was simply too busy to both paddle and fish. To be a good fisherman requires your attention and being a good paddler also requires your attention. Trying to do both was kind of asking for a wreck. The day was beautiful and we took a lunch break somewhere around the 5 mile mark. I decided to try and paddle and fly fish again. It kind of worked. The river wasn’t quite as busy, although it was still quite challenging to fish and navigate the river at the same time. I managed to rise at least a dozen fish, but never managed to land one. I would often cast to a good looking spot then have to set the rod between my legs and grab the paddle to maneuver around a rock. In the meantime a fish might have rose to my fly and I couldn’t get to my rod fast enough to set the hook. I did get a few fish hooked and began stripping line in to get them landed, but each time I would have to set the rod down and give the line slack so I could grab my paddle with two hands and avoid a collision with a rock. Each time I did this I lost whatever fish was on the end of my line. We arrived at Minam early afternoon and I felt like I should probably go for a hike up a ridge to make it feel like I really did something. This was too easy and I went home feeling rested. Red’s Horse Ranch to Minam was a great first overnight trip for the Baylee River Runner packrafts. I am looking forward to more trips in them. Click the picture to see more photos from this trip. This entry was posted in Minam River, packraft. Bookmark the permalink. I love your blog. I too am one of those people always seeking out of the way places. 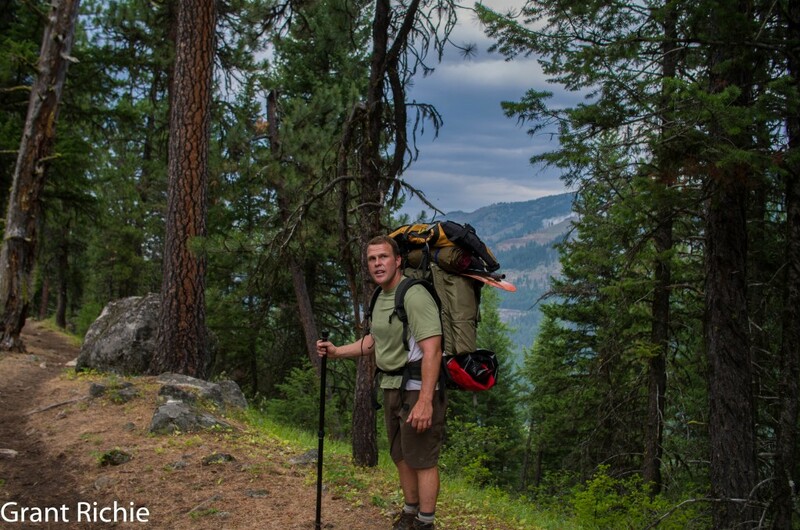 Growing up on the olympic peninsula and backpacking the Olympic Mts. I always gravitated towards places rarely visited. A few of the lakes I hiked to had nary a fire pit or a trail anywhere near it. Love it! 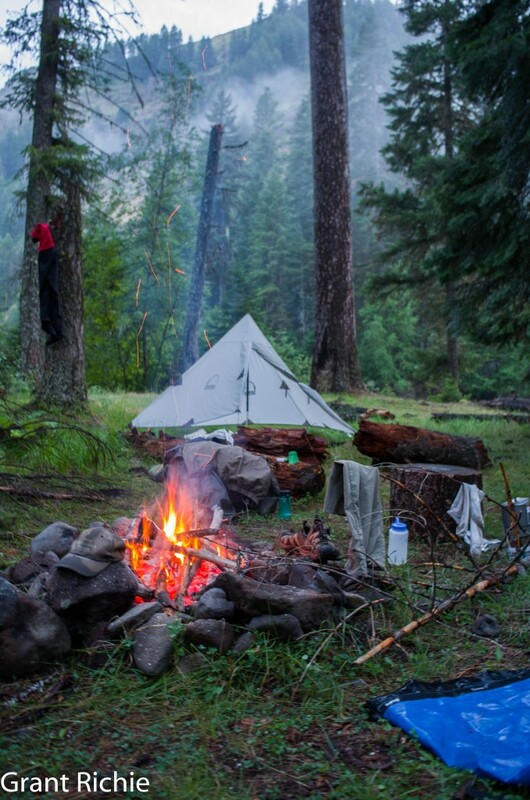 Your pack rafting trips sound like a blast. In a couple of weeks my 3rd daughter will enter the world so my adventurous days are temporarily put on hold. I have been researching the pack rafts and was interested in the idea that the featherlight pack rafts were better than the alpaca’s. Since I’m rich in daughter’s (3) and poor in cash how much do you charge to rent one of the featherlight pack rafts? A friend and I are thinking about floating the Minam out from Red’s Ranch sometime this summer. Is July a good time to do it? Also, what about floating from your store down to Troy in the middle of September? Can it be done in a Aire Kayak without having to get out due to low water? My Dad, brother and I are thinking about doing it during the Pendleton Round-up. Thanks for the articles in NW Flyfishermen. Well done! Thanks for the kind words. For renting the packrafts, they run $40 per day. If you were going to do a week long trip or something like that we could give you a special rate for the week. Typically the first half of July is a good timeframe. I would plan according to the flows and try to stay above 500 cfs for the most enjoyable flows. As it drops below 500 cfs it becomes increasingly a technical/rock dodging contest. 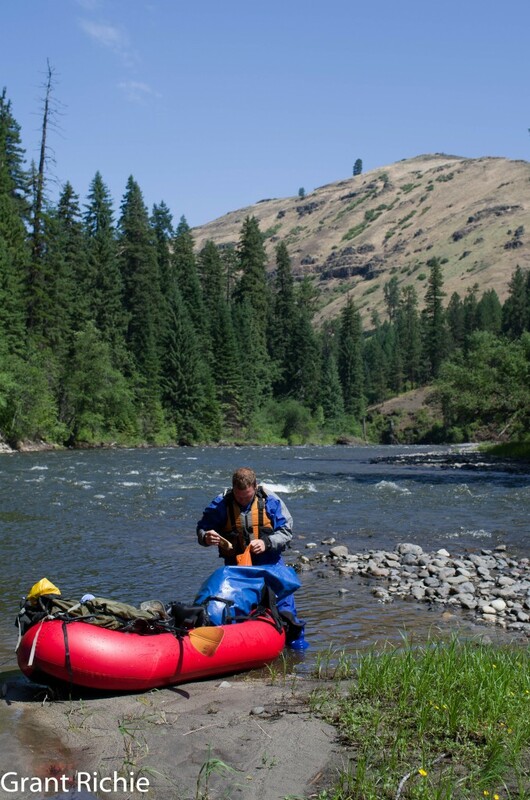 For the Grande Ronde between Minam and Troy in September, a packraft or inflatable kayak is an excellent option. You should be able to find a path without getting out. We make it in very lightly loaded big rafts with an occasional push off a rock or shallow gravel bar, but an inflatable kayak would be even better.